Mr. Osbin Harper age 81, of West Green, Georgia, passed away Tuesday morning, on February 12, 2019, from an extended illness at his residence 1821 Wildwood Road in West Green, Georgia. Mr. Harper was a retired prominent farmer in Broxton, Georgia, and West Green, Georgia. Osbin loved spending his time with pet dog Charlie, family and friends. His face would light up with a joking smile on Christmas and other special occasions. Mr. Harper was known for his large tomatoes he grew, when you passed by his residence you could see huge tomatoes hanging from the bushes. His favorite thing in life was being with his family and keeping a faith strong. Mr. Harper attended and was a member at Calvary Full Gospel Church in West Green, Georgia. Mr. Harper was proceeded in death by his wife of 50 years, Mrs. Annie Mae Harper of West Green, Georgia; he was also proceeded in death by his son-in-law, Randy McKinnon of West Green, Georgia; his parents, Mr. Tommy Harper and Mrs. Kate Duncan Harper of Broxton, Georgia, also proceeded him in death. Survivors include one daughter, Janice McKinnon of West Green, Georgia; one son, Ronnie Merritt and wife Lourice of West Green, Georgia; grandchildren, John McKinnon of West Green, Georgia, Britt (Donna) McKinnon of Farmington, Texas, Heather (Joe) Cichirillo of Baxley, Georgia, Shawn (Stormy) Merritt of Douglas, Georgia, Katy (Ordell Foskey) Merritt of Douglas, Georgia, Christy Batten of Ambrose, Georgia and Clay Lott of Douglas, Georgia. 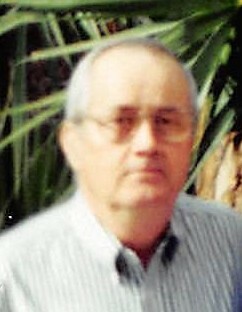 Mr. Harper had 15 great-grandchildren and three great-great-grandchildren; sister-in-law Rebecca Harper of Broxton, Georgia; sister, Thelma (Bud) Hutcheson of Douglas, Georgia. A Graveside service will be held on Friday, February 15, 2019, at the Calvary Full Gospel Church Cemetery at 2:00 p.m. with Rev. Michael Harper officiating over the service. Musical selections were performed by Michael Harper and congregation in attendance. Honorary pallbearers are Sister Josephine Wooten of Douglas, Georgia; Atkinson County Visiting Nurses and Physical Therapists; and the staff of Malcolm’s Pharmacy in Douglas, Georgia. Sims Funeral Home of Douglas, Georgia, was in charge of the arrangements and services.